Giving tremendous relief to the citizen the Punjab Government has initiated the service of collecting Electricity Bills at all Urban Sewa Kendras from September 26, 2016. Disclosing this Mr. Sukbir Singh Badal, Deputy Chief Minister, Punjab said that at present 78 services shall be delivered at Sewa Kendras. More services notified under RTS Act, 2011 shall be delivered in phased manner. State Government has taken a very courageous step and has established in Punjab. At present 78 services notified under Right to Service Act, 2011 are being delivered through these Sewa Kendras. The objective of 2147 unified service delivery centres named as ‘SEWA Kendras’ in both rural and urban areas at every 1.5 to 2 Kilometres in urban areas and for every 4-5 villages in rural areas was to facilitate to citizens who were earlier required to travel 20-25 Kilometres and have to stand in long queues for availing basic services like caste certificate, birth and death services, social security pensions etc. 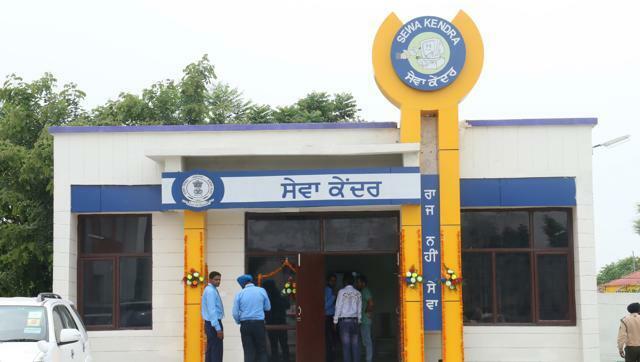 Under a mission to provide citizen centric services closer to their homes, Sewa Kendras will act as a one stop Government outlet for delivery of services to citizens in time bound manner as laid down in the Right to Service Act, 2011 which was brought to bring the transparency and accountability in the whole service delivery eco-system. These Sewa Kendras will be connected to various Government offices through State Wide Area Network/Internet and the service request received at these centres shall be transferred electronically to the back office, that will process these requests and final output (certificate/licence/permits etc.) shall be delivered at the Sewa Kendras counters. This will reduce the interaction of citizens with various Government offices and will lead to elimination of mal-practices, corruption and will bring ease to common man to get Government services in time. The application forms would be provided at Sewa Kendras at nominal charges and no file-charges will be taken at these Sewa Kendras. In the last few years, the functioning of Punjab Government offices have been changed with the introduction of Information Technology and offices of the Deputy Commissioners/SDMs/BDPs/CMOs and other officers have been brought on State Wide Area Network and have started working with electronic workflows which has brought in sea change in areas like citizen service delivery.